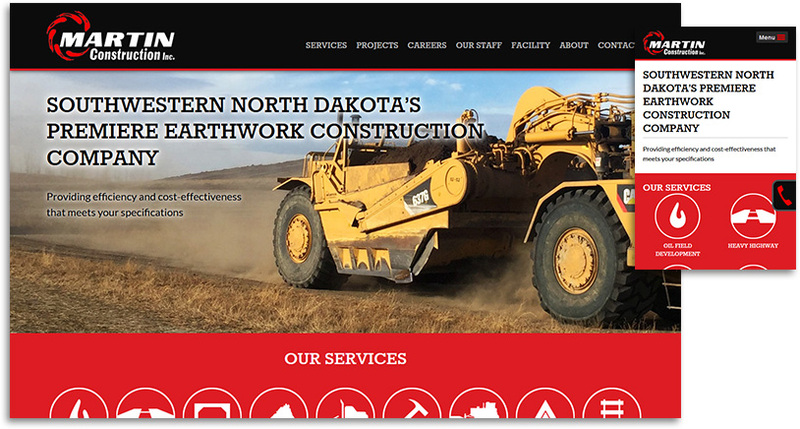 Martin Construction, Inc. is a leading construction company specializing in earthwork construction, providing efficient, cost-effective project sites that meet your specifications. Martin Construction has been a client with us for years, and they wished to freshen up their design which had been created years earlier. They are a leader in their industry, and this professionalism was a highlight of the project. We discussed our new design offerings, and we decided on a ground-up rebuild that would put more focus on their service offerings and better display their capabilities through highlighted project galleries.